Ex-Deloitte partner Chris Campbell yet to shed proof of debt dispute. 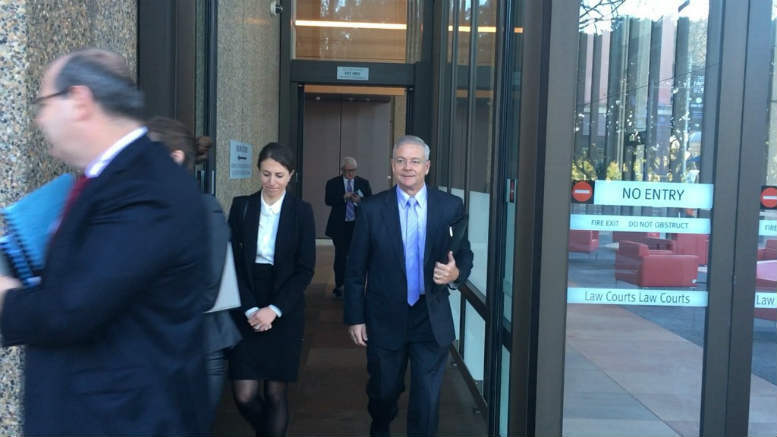 Reconstruction guru Chris Campbell is being forced to revisit his past as a partner at Deloitte thanks to the bullish determination of creditor denied Garry Hopper (pictured), who on Monday returned for another crack via the Supreme Court of Appeal. The ex-MF Global Australia (MFGA) trader has been waging a legal battle against Campbell and his former Deloitte colleagues David Lombe and Vaughan Strawbridge since October 2013 after the three – as joint and several liquidators of MF Global Australia – rejected a proof of debt (PoD) he lodged for $3,218,799.30 on October 4, 2012. The figure comprised base salary, guaranteed incentive award payments, bonus, a sign-on bonus and other amounts, calculated with reference to a handshake agreement he made with American billionaire and then ceo of MF Global Jon Corzine in February, 2011. Previous judgments detail how the agreement involved Hopper moving from his position on the MFGA commodities desk to a proprietary trading role. He was to be paid $1 million a year plus 20 per cent of all profits he generated in excess of $5 million. Critically, he would continue to be employed by MFGA until he relocated to New York, although under the terms of the February agreement he could work from Australia as long as he made semi-regular visits to the US to meet with Corzine. 12 months elapsed before Campbell, Lombe and Strawbridge – who were appointed liquidators of MFGA in March, 2012 – adjudicated on the October 4 PoD, admitting $385,702.89 for unpaid company expenses in the amount of $65,279.47; long service leave entitlements of $195,423.42 and $125,000 in redundancy pay. The date was October 8, 2013. Hopper responded to the perceived debasement of his claim by lodging a second PoD for $3,712,712.80, which included additional amounts by way of an annual incentive award based on his trading performance and for long service leave. It took Campbell and his colleagues just 24 hours to knock back PoD II, advising on October 30, 2013 that they had rejected the second claim for the same reasons as the first and on the basis that it was not open to Hopper to lodge two Ps of Ds. However on the same day Campbell made Hopper a Calderbank offer of $624,879.24. That offer was not accepted and a subsequent Offer of Compromise made by Campbell in August, 2014 was also spurned. In late 2015 Justice Ashley Black dismissed Hopper’s appeal against the decisions to reject most of his PoDs. Now the case has now come before appeals court Judges Bathurst, Meagher and Payne and Campbell will be hoping that this time the Balmain-based trader from West Wyalong is well and truly put out to pasture. Be the first to comment on "Campbell drawn back to Deloitte days"